Picmonic is a visual learning platform that can help you absorb and recall difficult material by turning dry facts into unforgettable images and stories. 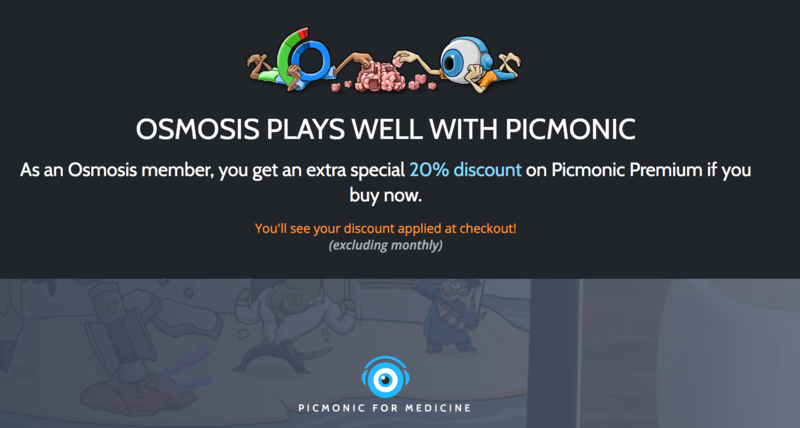 Osmosis recommends links to relevant "Picmonics" within concepts and course documents. Here are some Discount Codes!